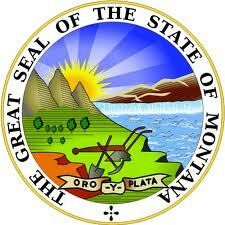 Montana College grants are available for qualified students that know how to apply. The issue is generally, “How can a student find these grants?” Some of them are federally funded and other are offered by private foundations. Here are some of the grants that are available and instructions on how to find these grants, the deadlines if they have them, and how to get qualified to receive them for your education. They are all accessible through your local colleges and universities in Montana. One link to get you started in your search is at life.umt.edu/finaid/. Students that are still in high school should consult their guidance counselors at their high school. Applications should be made by junior year of high school. While some might be called scholarships, they are actually grants because they are given based on various criteria and you don’t have to pay them back. People use grants for many academic pursuits; they are an excellent way to pay for your education. Montana State University offers several grants for both residents and non-residents of the state. These vary in their qualifications. Here is a list of those grants and what the qualifications for those grants are. This is funded through the federal government. It is open to all that qualify at a certain level of low income. Those people receive this money after they meet that criterion. This grant is for $1,000. This grant is awarded from the federal government to those that have a low-income rank. The applicants need to be a level that is beneath the income level of the Pell Grant. It is also only awarded to those that apply first. Once the money is awarded, it is gone. Applicants must apply for the Pell Grant and be turned down in order to qualify for this grant. The grants are for $1,000 per student. Like the Pell Grant, this one is need based and limited. Anyone that wishes to receive this grant must apply early in order to have a chance at receiving it. The applicant must also apply for the Pell Grant before application will be considered. The award for this grant is $1,000 per student. This is for Montana residents. The applicant must demonstrate financial need and apply early enough to qualify. Funds are very limited, so application should be done immediately. The grants range from $200 to $500. This is a grant that is based on both merit and financial need. Eligibility requires that the student maintain a minimum GPA of 2.5 and complete an application. Funds are limited, so application is recommended. Qualified students are granted $2,000. This is a grant that is only offered to honors students that have financial need. Application is offered to students that qualify, but it doesn’t hurt to ask if the grant is still one for applications. This award ranges from $2,000 to $5,000. This program is very prestigious. It began with the contributions of the Hurst Foundation. The students are chosen to receive the grant that is based on merit alone. Applicants must be invited and complete an exam and interview. The students that win the award receive $5,000. These grants are generally in the amount of $500 to $1,000 per award. They are open to students of state universities that demonstrate exceptional academic talent. The universities offer these to attract high performing students that help them maintain a reputation for academic excellence. The awards range from $200 to $500 per student that qualifies. This is awarded to freshmen who are non-residents and show the ability to perform at the top of their class. They must have their combined SAT and ACT scores ready for proof of their abilities when application is made. Awards range from $200 to $500 per student. Like the grant for non-residents, this one is based on merit and the combined scores from the ACT and SAT scores. Only the top two students will be awarded this grant. Awards range from $200 to $500 per student. This is for freshmen that show merit in academic and personal achievements prior to application. Applicants should apply and wait for an invitation for an interview. Awards range from $200 to $500 per student. Those students that prove that they have one-quarter Native American blood are eligible for this grant. When this is established, they can receive the grant that covers one hundred percent of their tuition and college expenses. The award ranges from $1,000 to $5,000 for those that qualify. Individual corporations are also known to issue these grants to Native Americans. You should check the local Better Business Bureau for eligibility qualifications. Any local business will have this type of program. It helps them get free advertising through the University and it also offers tax deductions. The award ranges from $1,000 to $5,000 for those that qualify. The Montana Higher Education Grant is available to those residents that have financial need and have a GPA of 3.0 per semester. The money goes quickly and is limited to a certain amount per year. Applications should be made early to avoid missing this award. This grant is for $2,000 if the student works. They can also receive $800 when they are unemployed. This award is granted to high school graduates that are signed up to participate in the program. Students that are in high school should ask their guidance counselor about their school if they are interested in applying. The grant is for $1,000 to students that qualify. These grants are worth various amounts of money. In some cases, they can pay for the entire education. Application is open to students that have reached their Associates Degree and wish to pursue further education. Applications can be found in your local Montana community College financial aid office. This grant is for those students that are in their senior year of high school that wish to have their tuition waived. If they have high grades and perform well on the ACT and SAT, then they may apply for this grant at their local guidance counselor’s office. This is for those students that apply and win this grant. 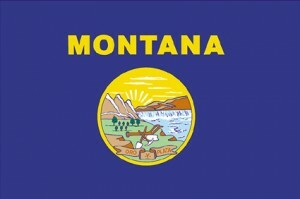 The application requirements are that the student must be a resident of Montana for 6 months and they must have the highest level of grades in the honor classes at graduation from high school. The grant covers all of the education fees for the student for four years. This offers a grant to cover the amount of money that is taken from the Peel Grant that work-study students loose each semester. It matches that amount. This ensures that the student gets the full amount that they need for each semester. This grant is for those students that hold a minimum GPA of 2.5. It is worth $500 per semester. Generally this is only awarded once a year for each individual student. Some changes may happen from year to year. It is best to check in your school’s financial aid department. This awards $500 to $1,000 to any student that is a cancer survivor. It can be granted each semester as required in order to help those students that have endured Cancer and seek to further their education. This is perfect for those that wish to receive an annual grant that is renewable. It offers $1,000 per year to each student that qualifies. Applicants must submit an application and show transcripts of grades and community service records. Anything that they have done can be considered but does not guarantee the award of the grant. These are offered in many states. They are all available to residents of Montana. This is for students that are still in high school who plan to attend college in Montana in the fall semester. They must also attend classes full-time and maintain an excellent GPA of 2.5 or greater. The grant is for $6,500 per student. It is also renewable for up to a maximum of six years. The link is at www.asu.edu. While this is originated in anther state, it is available to those students that attend any college or university in Montana. These are for any student that resides in Montana and has a GPA of at least a 3.0. The applicants may be awarded from freshman year until their senior year of college. The average award if for $2,000. The link to apply is at www.wvu.edu. This is for those students that maintain a GPA of 2.5. The grant may be awarded each year that the student is in school. The maximum award amount is $5,000 and the minimum is $500. The application may be made through wvu.edu. This one is offered to those students that demonstrate academic excellence and skills for leadership. Students must maintain a GPA of 3.0 and have a minimum of 45 hours finished. The award is $29,175 for these achievements. You can find out more at www.seattleu.edu. This award is open to freshman and sophomores for the amount of $1,000. The deadline for application is June 15th of the year prior to use. There are no requirements for application except the fact that the student must be enrolled and live in the state of Montana. You can find out more information here. All of these grants offer to the student the money that they need to pay for their education. It is easy to find several of them and cover most, if not all, of the expenses associated with attending college or a university in Montana. While many are specific to academic traits, many are simply based on need. If an applicant wishes, they can have several grants in one semester. They can receive those grants over the whole course of their education. It is definitely something that anyone that lives in Montana should explore. Remember also that the deadlines for applications are generally over by the end of the spring before the semester that the money is needed. It is imperative that applications be made well in advance of the first grant. Once the awarded student is in the system, they can re-apply each year to continue to fund their education. New Montana college grants open up every year from independent resources like business and churches. Religions and race can also play a part of qualifications. Minorities should be sure to look into this as they are well qualified for several grants, simply because they are part of a minority group of the United States.